We are in 1999 when Street Fighter III Third Strike hits the arcades, and then the 2D VS fighting genre is already an old school. 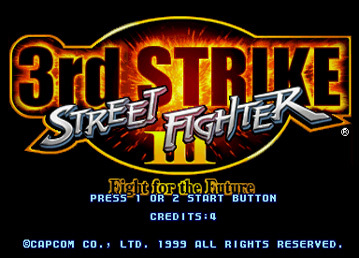 Since the sequels of Street Fighter II in the early nineties, then came the Zero/Alpha series, and later the Street Fighter III ones. 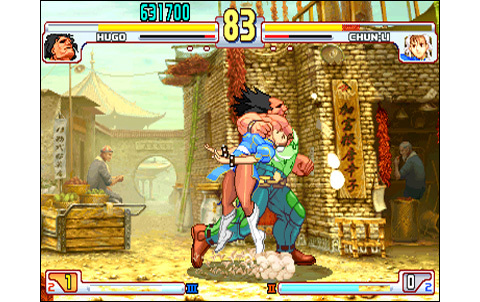 Capcom's new standard is the CPS-III, an impressive 2D powerhouse. After two games rather successful bringing their bunch of new characters, here's the third and final installment of this era. In other words, the editor - finally - chosen to make risky moves, as a vast part of the roster is renewed! 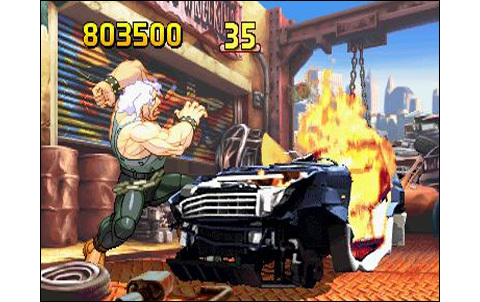 We note the disappearance of some leading figures, such as Honda, Blanka, Vega and Sagat. Still, a panel of nineteen characters is proposed. 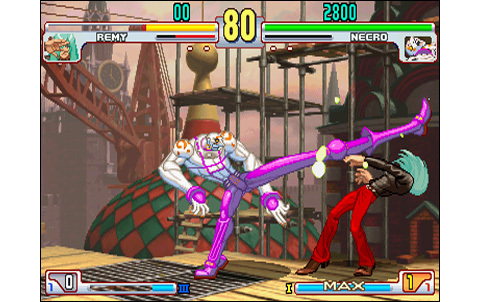 It's way less than what is featured in SNK's The King of Fighters franchise since several years, but this is still decent. One might simply regret the lack of charisma of many new fighters, although all of them have many different attacks. The editor was probably counting on the rich gameplay to increase the replay value. 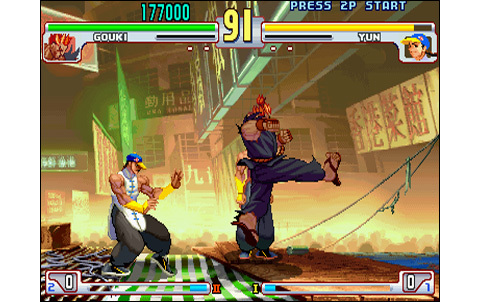 Among the most famous fighters, there's very few survivors from the past Street Fighter II games: Ryu and Ken are there, with also Chun Li and Akuma... but that's it! 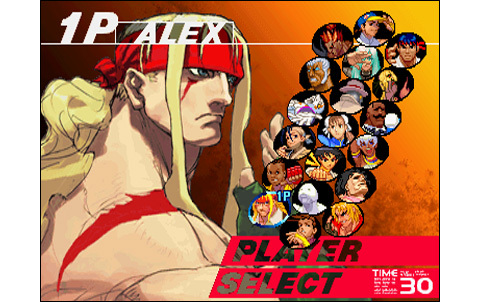 The rest of the roster come from the previous Street Fighter III releases, plus a few new ones. 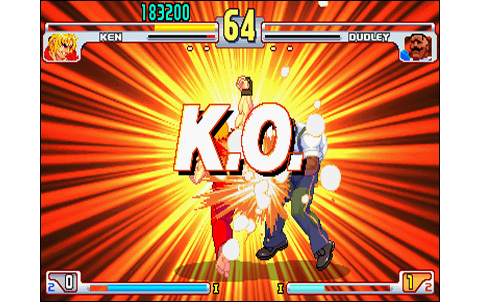 The gameplay is great, and if it's still more accessible and simplier than The King of Fighters games or even Garou: Mark of the Wolves, it features a bunch of subtle new techniques that were never seen before in the series. 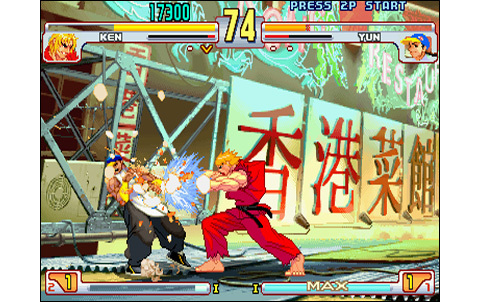 The hitbox is smaller than before, requiring more accuracy during the attacks; the timing is more 'precise' and making combos requires more finesse and mastering at this level. 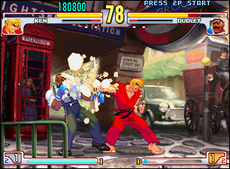 The Parry System appears, like the Just Defended in Garou: going towards the opponent when he performs an attack, haven't you only blocking without losing life, but it also grants the player a short priority allowing to enter a chain combo or even a special! It's now a technique players have to master to reach the next level. In addition to all the other qualities mentioned, this provides a very technical and interesting line of progression for everyone. 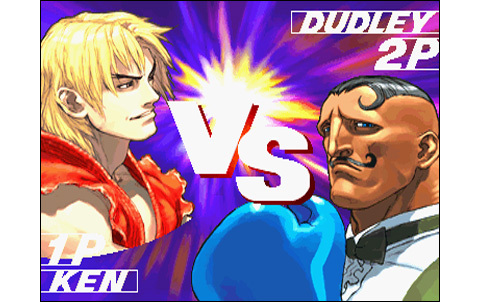 During human versus human matches, the technical level can sometimes be downright impressive! 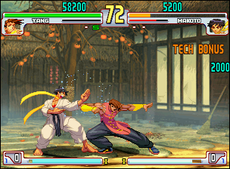 Timing and precision are now in the spotlight more than ever in a Street Fighter game. The single player action doesn't oppose a great difficulty, with any average player making it quite easily to the Boss. 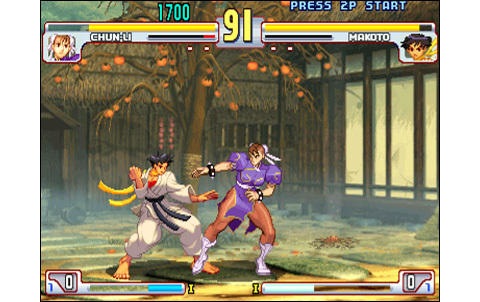 For each fight, you now have the possibility of choosing the next opponent among two for each new battle. 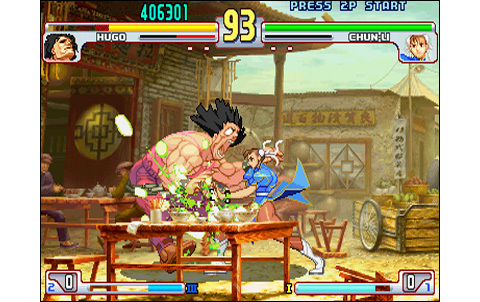 Bonus stages which Capcom is greedy (and so we!) are included in the game, with among other things a superb 4x4 to demolish. Superb is the also appropriate word to describe the graphics of the game. Places and characters are thin, colorful and shows an incredible relief: the CPS-III does wonders! 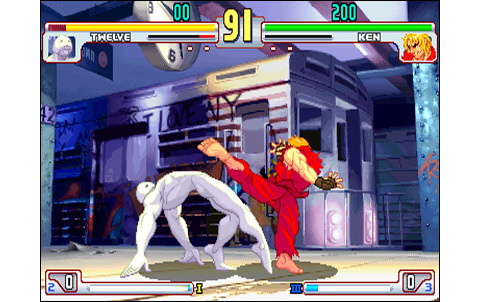 The animation is perfectly decomposed, to a level of quality rarely reached by other fighting games: we could mention Art of Fighting 3, Garou, or the latest Guilty Gears featuring an animation of equal quality, but they 're still few. It's fast and fluid for sure, even if the fights could have been more dynamic. Yes, combats sometimes lacks speed, depending on the characters involved... but I chipotte. The soundtrack offers a phenomenal quality, with a bunch of pretty appropriate sound effects. But the musics... these are cheap "hip hop" commercial melodies, and let me tell you this is not what Capcom have done best. Even if the musical color wants itself 'groovy', these themes don't stick with the world of Street Fighter, and you'll bitterly regret the legendary Street Fighter II melodies. Still, SF3.3 features graphics among the finest in the world of 2D, its animation is flawless, while the audio part - ahem - is excellent, and gameplay richer than ever. 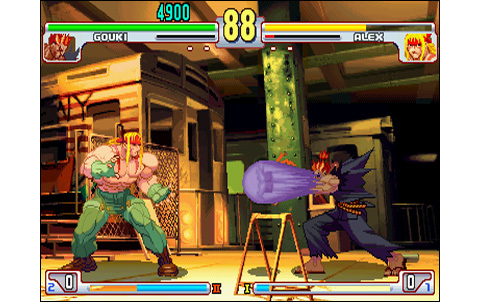 Players will not fall in love with all new characters, for sure... and many might feel some nostalgia, thinking about the lost Zangief, Sagat, Dhalsim, Honda and others... 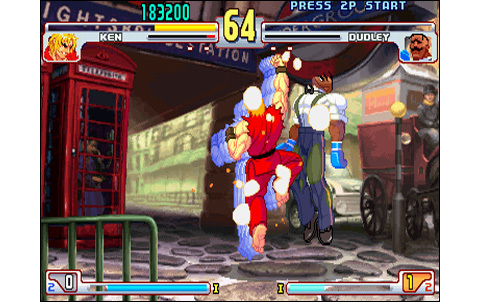 But all this is a matter of taste, and objectivity is required in this review: Here we have the best installment of Street Fighter III, by far, the saga wonderfully renewing itself and standing still as a reference in the VS fighting world. The game still stands as one of the masterpieces of 2D. The CPS-III provides a render pretty close to perfection, equally for the backgrounds as for the characters. 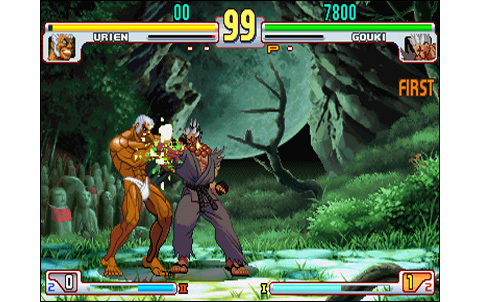 The action is extremely fluid and the speed is almost analog to what have been seen in Garou. Fighters move smoothly and everything shows a near-perfect decomposition. Nineteen characters is good, with the game including a hard challenge, punctuated with bonus stages. 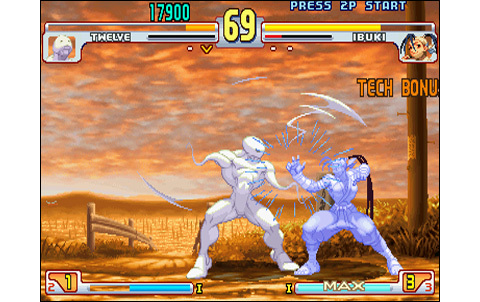 Great innovations are featured and the brand new fighting system improves what have been seen before in the SFII games. 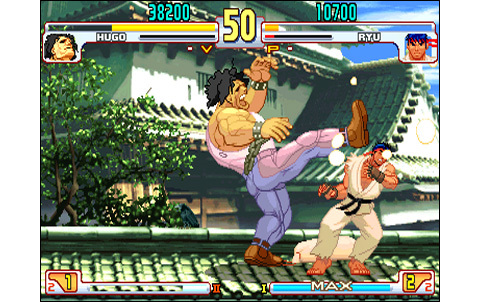 Fabulous realization and a great fighting system: SF3.3 is another Mega-Hit in the name of Capcom! 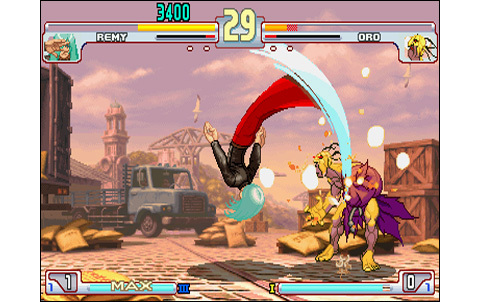 Some very good VS Fighting Games were released on the Neo Geo in the early nineties, and even after 2000. 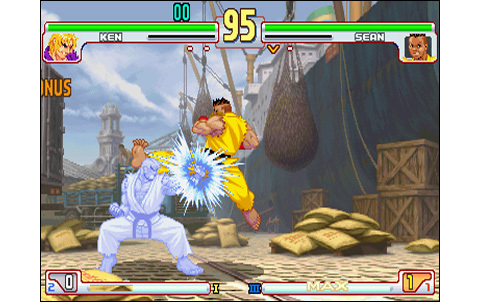 Garou: Mark of the Wolves is certainly the most similar game, visually or in terms of gameplay, to Capcom's Street Fighter III Third Strike.